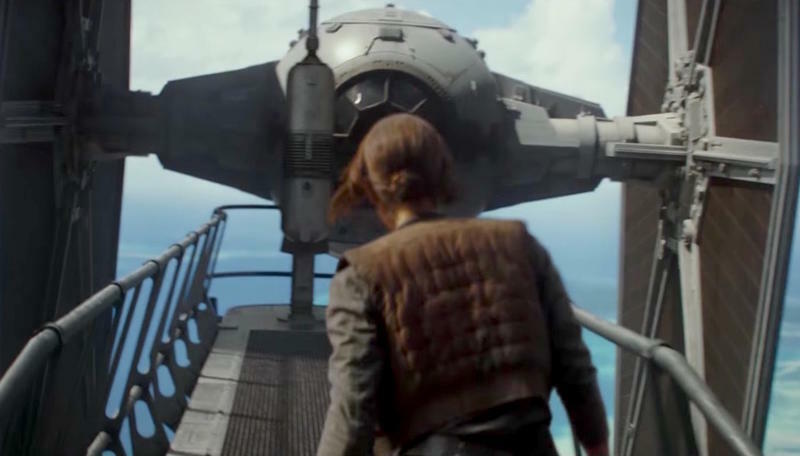 A brand new trailer for Rogue One: A Star Wars Story has been released and it is fan-freaking-tastic. If this footage doesn’t get you hyped for the first anthology spinoff then you might need to get your pulse checked. This is the Star Wars universe at its finest. The first teaser trailer we got this summer didn’t reveal much, mostly giving us a look at Jyn Erso (Felicity Jones) and her background as a bit of a loose cannon. Now, we’re getting a good look at pretty much the whole team, including K-2SO, the grumpy new droid played by Alan Tudyk. Each character has their own distinct personality, as we’re learning, playing an important and distinct role as the team pursues the Death Star plans. Sadly, space monkey doesn’t make an appearance, but the baddest Sith Lord of them all, Darth Vader, has a tiny cameo appearance at the end. We’ll have a full breakdown of the footage tomorrow. Needless to say, we are beyond excited to see more.